Super Hero Time! More specifically, time for the 18th episode of this double sentai season with the very long titles. Last episode showed a preview of this one being about the two teams fighting over Goodstriker and finally revealing his mysteries. That is a huge promise to make. Click "read more" so we can find out if they delivered. No time is wasted with this episode. It starts off with the Patrangers enjoying a bit of peace and is immediately interrupted by a Gangler already giant. 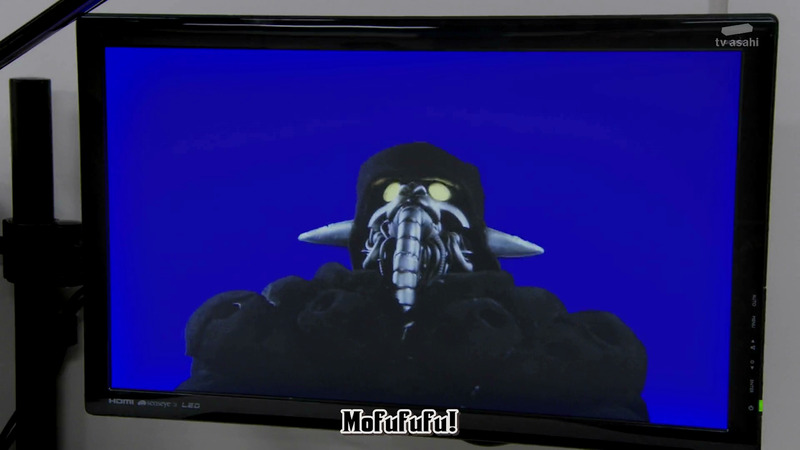 However, this isn't a new one; it is the brother of Odordo from episode 14 that the Patrangers accidentally stepped on with Patkaiser. Kairi notices the action in a distance as both him and the Patrangers recognize him. 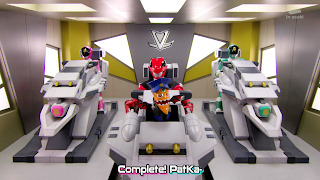 Goodstriker appears before the Patrangers and they quickly summon their VS vehicles to begin battle. This is the first episode to open up with a giant battle. It is a nice change of pace and maybe they will actually have time to do something this time. One catchphrase and intro later the battle begins. The Gangler, Anidara, does not know why they are attacking him but is not the type to back down. In the middle of a shoot out, the Gangler discovers he has the power to re direct his missiles which leads Goodstriker to believe he still has a collection piece. So, in order to protect it, he forces Patkaiser to split, stopping the fight, and joins the Lupinrangers. They have already given us reason for a conflict to break out. I like it. By the time Lupinkaiser is formed, Anidara is gone. But, Goodstriker does inform them about the collection piece. Jim Carter's scan reveals that this Gangler was formed from the remains of Anidara that they had been keeping in their custody but are unsure as to how the enemy could have gotten to it or even know it was there. Keiichiro now believes there is a leak in the organization. Nah, I'm sure it was just a lucky guess. There are many other places it could have been at as well right? The old ice wizard Gangler Zamigo actually had the information somehow. Destra convinced Gouche to revive Anidara for another plan of his. He actually gave him his own collection piece which improves accuracy so he can avenge his brother; something Anidara eagerly accepts. Improves accuracy. Simple but deadly. A big prize to give up but this is all part of Desta's experiment. 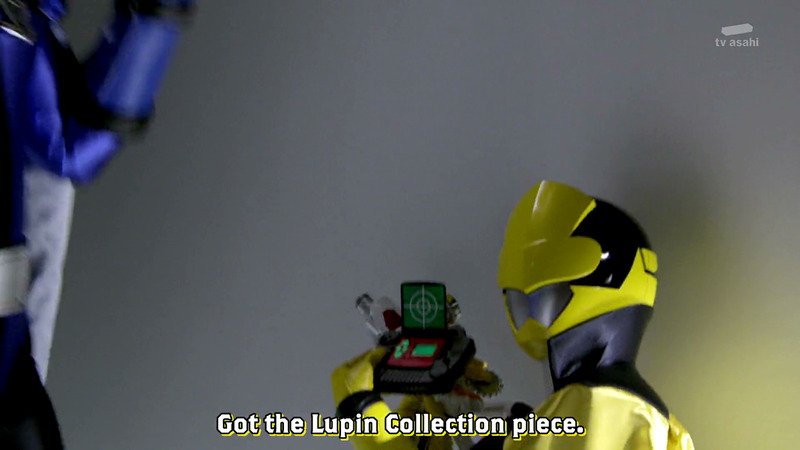 Lupin collection items were created in the Gangler world so they should be unusable to humans. 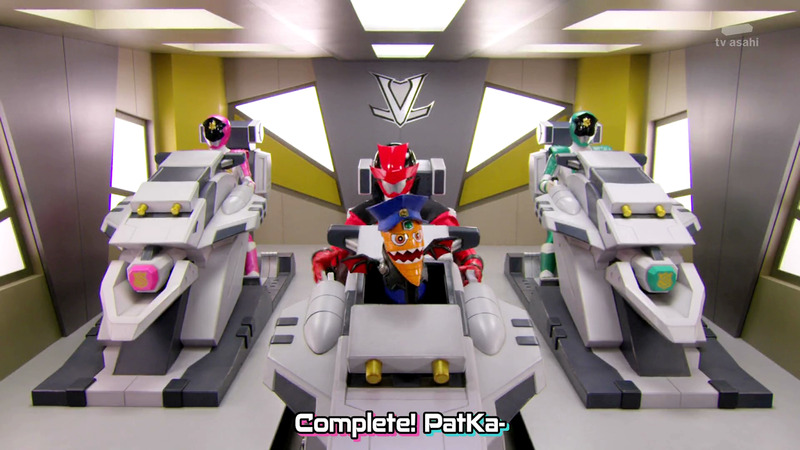 However, the two sentai can use them because theirs were modified by another human to be compatible. They don't reveal Desta's end game yet but that is a lot to think about already. Anidara appears on the Patranger's computer screens and challenges them to a duel. They are happy to accept, only problem is, they need Goodstriker who is currently assisting the Lupinrangers. So, they all agree to steal him back and Keiichiro has a plan. To be fair, he was sent to the Patrangers first before going rouge as Tsukasa points out. Meanwhile, the Lupinrangers are going over how to deal with the current situation of trying to steal a collection piece while giant. Things begin to flare up when Kairi calls out Goodstriker for always helping the police when he is supposed to be in charge of protecting the collection. He simply responds, "I had a good feeling" which is something Kairi does not accept. The argument eventually causes Goodstriker to storm off but not before saying something interesting. Basically, just say he can't control his "good feelings". There are about a hundred different things that could mean. Kogure makes another sudden appearance with his own theory. He reveals that Goodstriker was created by the great phantom thief Arsène Lupin himself and he may be trying to protect his interests. 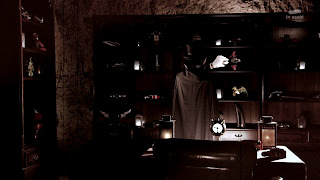 Arsène Lupin was the one that modified some collection pieces to work with humans and Goodstriker was his first success. 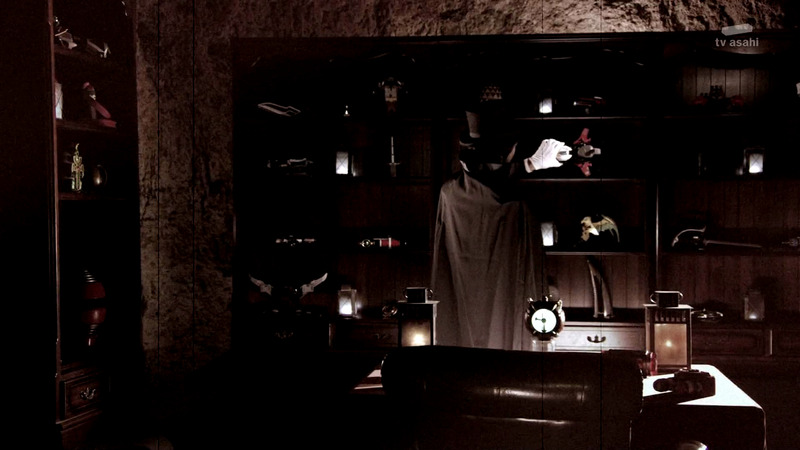 He gave him special power to protect his collection which eventually developed into free will. That still doesn't explain why he is helping the cops. But, my theory is he follows his instincts on the best course of action for their protection given the situation. Just, doesn't always pick correctly. Kairi goes out for a "walk" while Tooma and Umika go searching for the Gangler. The search doesn't take long when a big T.V. in town reveals the Patrangers had their scheduled duel announced over every channel; informing the Lupinrangers and giving civilians time to stay clear of the area. Destra still has a plan in all this. So much is happening at once. Kairi finds Goodstriker on a swing set where he apologizes and they agree to help each other steal back the Lupin collection piece. Now, at the duel location, it looks like the Patrangers didn't show so the Lupinrangers rush in. But, it was a trap. 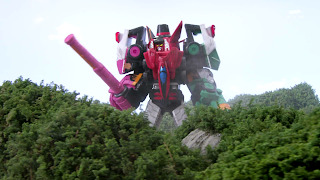 Drill zord comes out of the ground knocking the 3 down and Keiichiro crane drops in and takes goodstriker. How majestic. Things take a turn for the funny here. Keiichiro forces Goodstriker to form Patkaiser but Kairi jumps in and steals his spot causing an unusual hybrid. This is exactly the type of thing kids do with the toys. I love it. Things go all types of hectic from here. Both reds get in fights with the opposing teams in and outside the cockpit but Kairi is trying to both pilot while fighting off the police. This is easily the most amusing battle so far. Unfortunately, things take an abrupt ending. This hybrid megazord takes a hit and somehow Kairi takes that as an opening to unlock the safe where the treasure is still small. Umika and Tooma grapple up to get it while Anidara basically just stands there and lets them. They get the collection piece and Goodstriker ejects the Sakuya and Tsukasa replacing them with the Helicoper and scissors vehicles. Why didn't he do that before? Cyclone knight is formed, they easily win, bid an Eternal Adieu, Destra watches them looking happy, and that wraps up everything. The episode ends basically with recaps. Gouche and Dogranio wonder about Destra's intentions and the Lupinrangers go over a job well done with Goodstriker. He is definatly going to continue helping the police but Kairi says following his "good feelings" just makes him human. Is that really all they were going for? This episode was over ambitious. There was a lot going on with non of them really being bad ideas and some really fun action. Sadly, the ending really killed it. It really felt like a case of them running out of time resulting in some cop-outs. What I don't like is how the Patrangers get pushed to the side. At first, it seemed like they were going to play a big role, but ended up looking like push overs in the end. Really, it is a shame because this episode could have been amazing if only they let it be a 2 parter and allowed things to play out better. 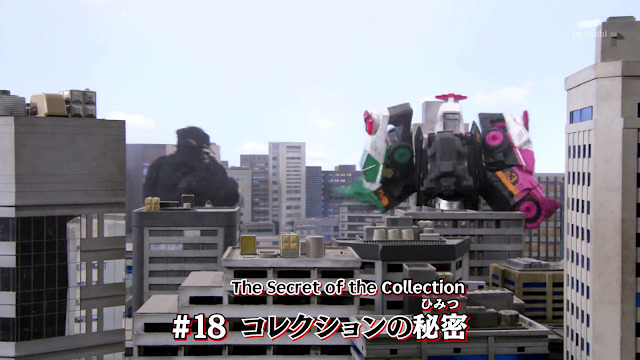 That is was the sentai of a few decades ago would have done. I remember the 90s or earlier seasons would have taken an episode with loads going on and had it end on a note that seemed almost hopeless hyping you up for the next episode. This used to be common but they rarely ever do that anymore, save the climax. However, for the first 4/5ths of this episode and given how much of the overall plot was advanced, I'd still call it great. 4/5 a lot of fun to watch.